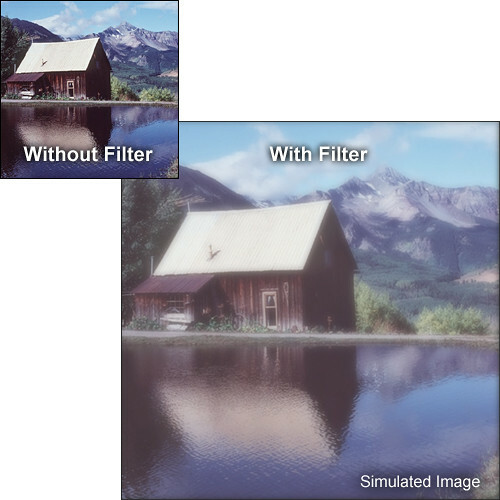 The Hitech 4 x 4" Fog 1 Filter simulates the effects of natural fog or mist by creating a soft glow around highlights and lowering the overall contrast of the scene. There is no exposure compensation required. The 1 density provides a moderate amount of fog effect. This filter measures 4 x 4" / 101.6 x 101.6mm and is constructed from CR-39 dyed resin. It is compatible with the Cokin Z-Pro filter holder. 1 density gives a moderate fog effect. Box Dimensions (LxWxH) 3.9 x 3.9 x 0.1"